dahi ke sholay recipe | dahi bread roll | bread curd fire roll | dahi ke sholey with detailed photo and video recipe. yet another bread roll recipe prepared with rolled bread and hung curd stuffing with rolls deep fried till crisp. it is a perfect evening crisp snack or a party starter with left over sandwich bread slices. these bread curd fire roll, can be eaten as it is but tastes great with green chutney or tomato ketchup sauce. 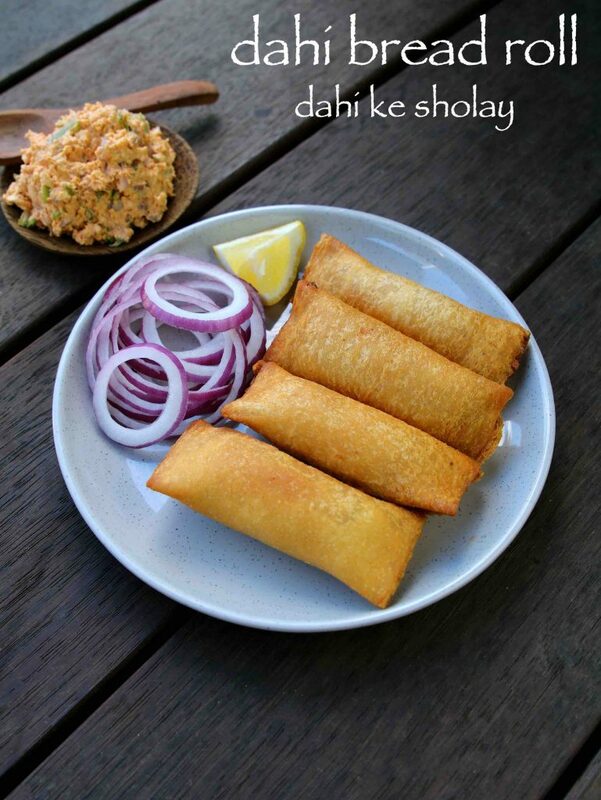 dahi ke sholay recipe | dahi bread roll | bread curd fire roll | dahi ke sholey with step by step photo and video recipe. this recipe is known with several names which varies with the region but popularly known as dahi bread roll or dahi paneer bread roll. it is perhaps one of the popular deep fried street food in north india especially in punjab and delhi state. 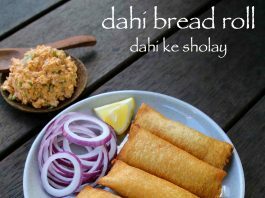 this recipe of dahi ke sholay or dahi ke sholey is very similar to my previous post of bread roll or paneer bread roll. as matter of fact, this recipe is a combination of bread roll and dahi ke kabab recipe. basically the ingredients of both the recipe is mixed together to prepare a new recipe. 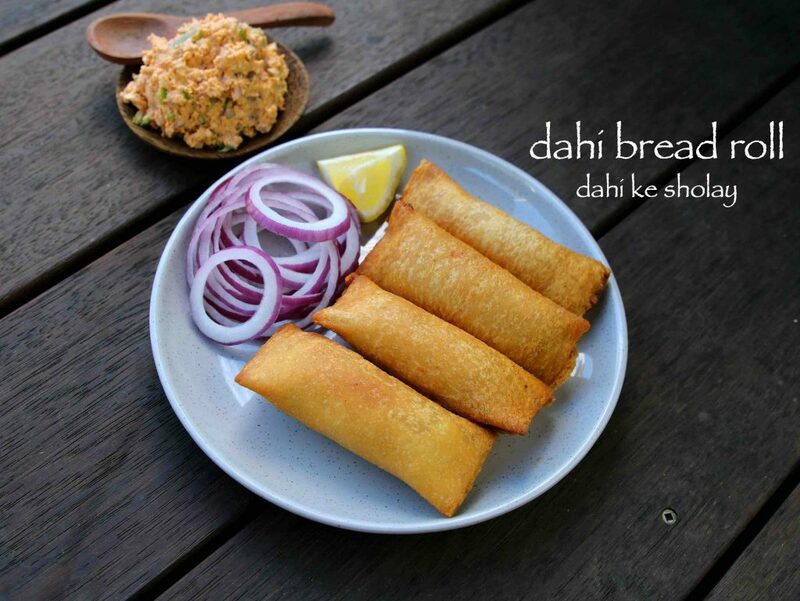 but personally as compared to both of the recipes, dahi bread roll tastes lot better. perhaps because of bread slice and deep frying them thin and rolled. in addition the grated paneer and hung curd / yogurt combination makes it rich and creamy. in other words, crispy and porous at the outer layer and soft and juicy stuffing makes it a perfect evening snack. furthermore, some important tips and suggestions for a perfect and crisp dahi ke sholay | bread curd fire roll. firstly, try to use fresh bread slices or sandwich slices for this recipe. otherwise if stale bread used it may break while rolling. but even with the fresh it starts to crumble while rolling, brush it with full cream milk and patch them. secondly, try to add moist free grated paneer to the stuffing. otherwise, the bread rolls may turn soggy while deep frying. 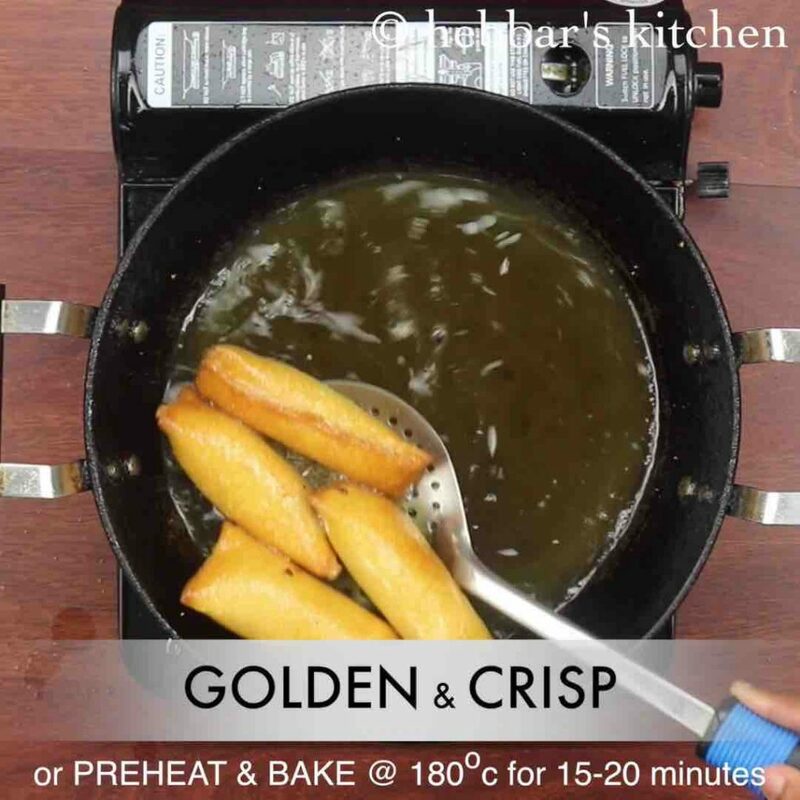 finally, ensure that you have sealed the roll properly before deep frying them. there should not be any gap or otherwise the stuffing may ooze out while deep frying. 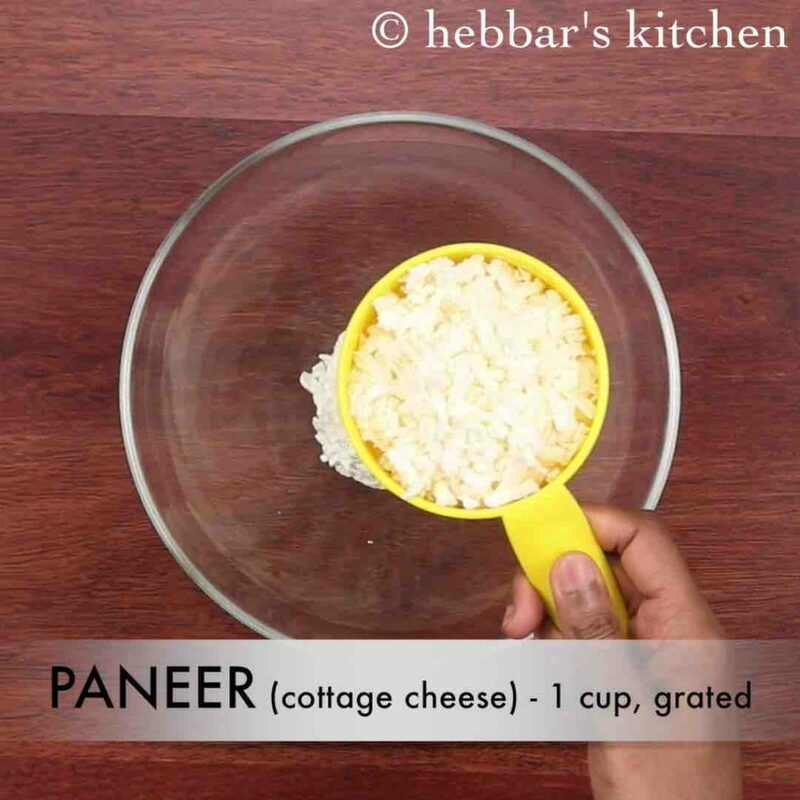 firstly, in a large mixing bowl take ½ cup hung curd and 1 cup grated paneer. 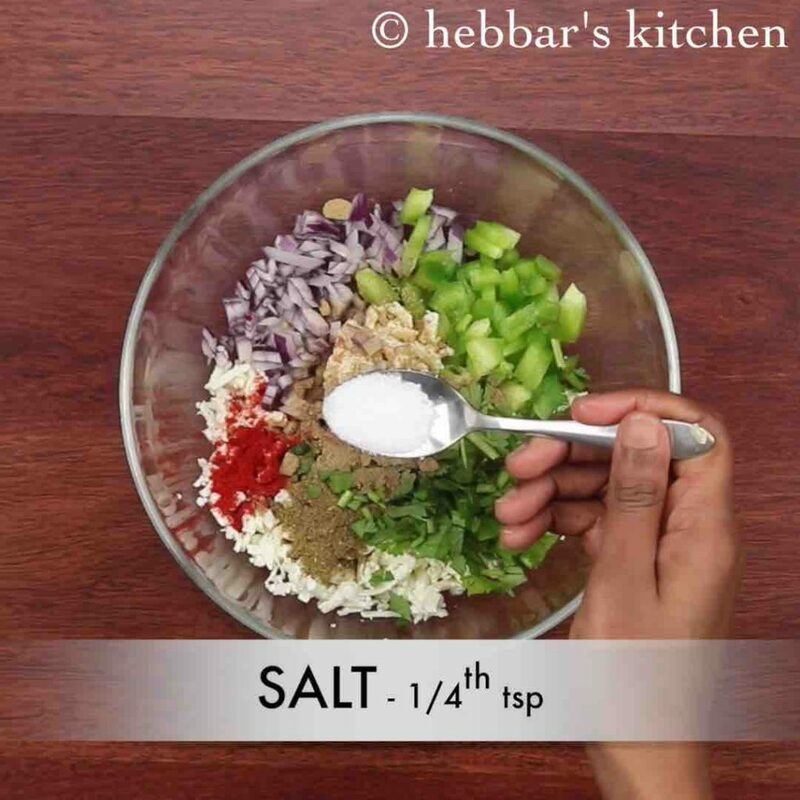 also add ½ tsp chilli powder, ½ tsp garam masala, 2 tbsp onion, 2 tbsp capsicum, 2 tbsp coriander, ½ tsp aamchur and ¼ tsp salt. combine well making sure all the spices gets mixed with paneer and hung curd. keep aside. 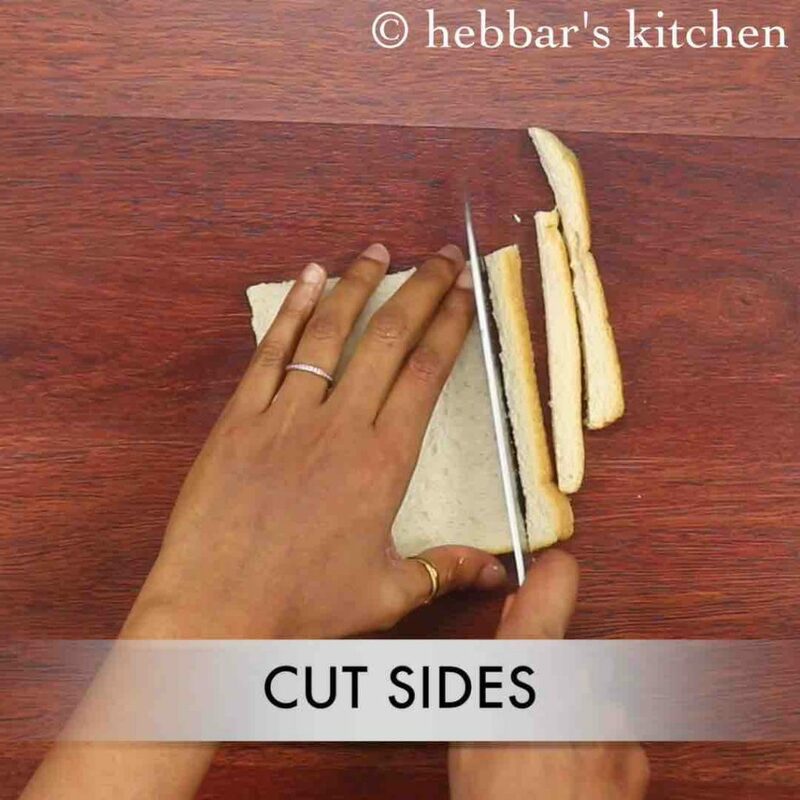 now take a bread slice and trim off the edges. 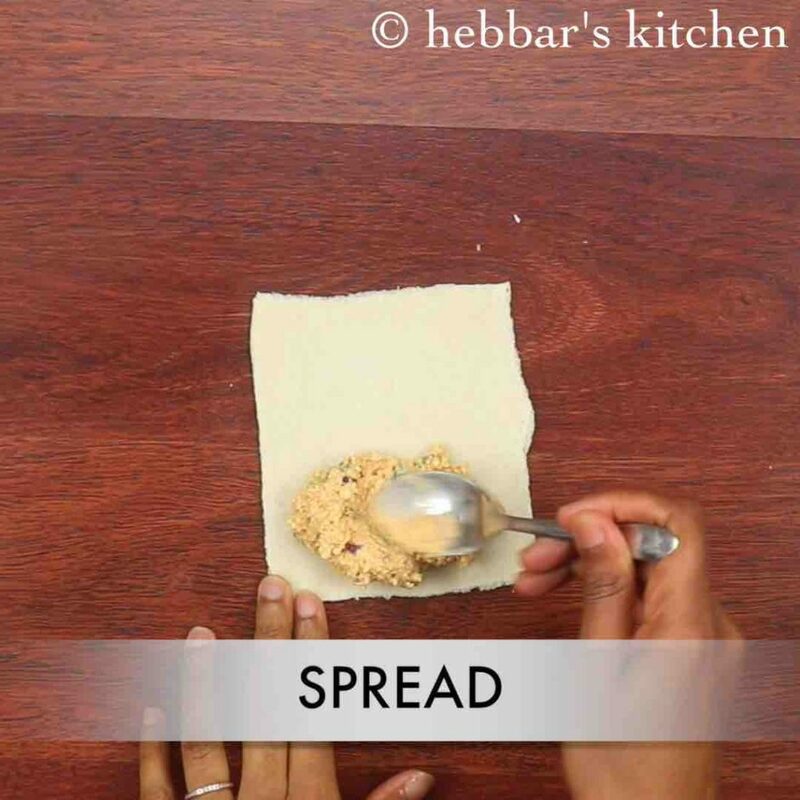 you can use sides of bread to prepare breadcrumbs by blending dry in mixi. 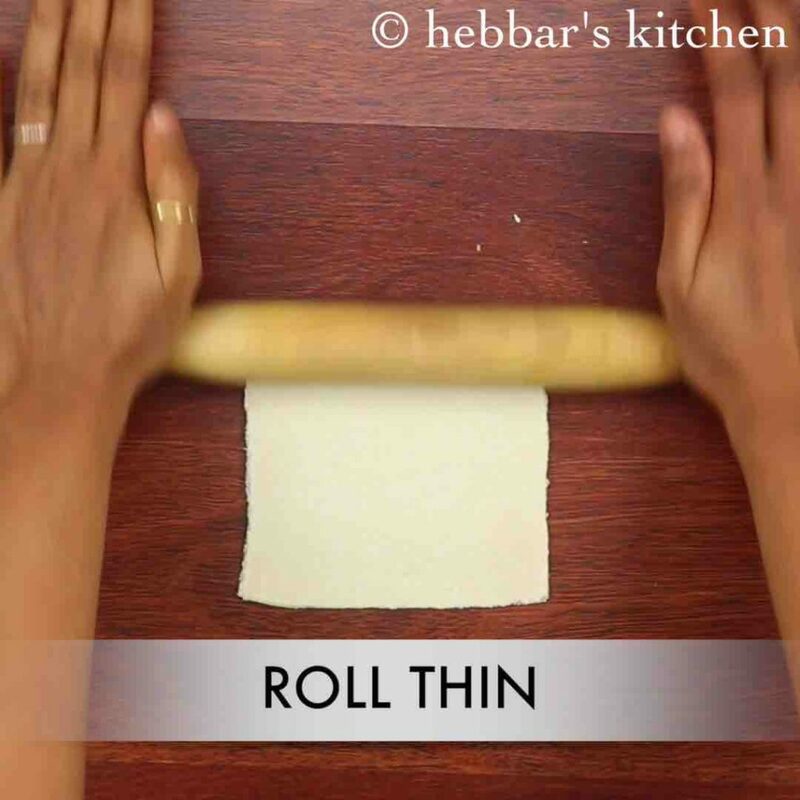 roll the bread slice as thin as possible, this prevent bread from absorbing oil. 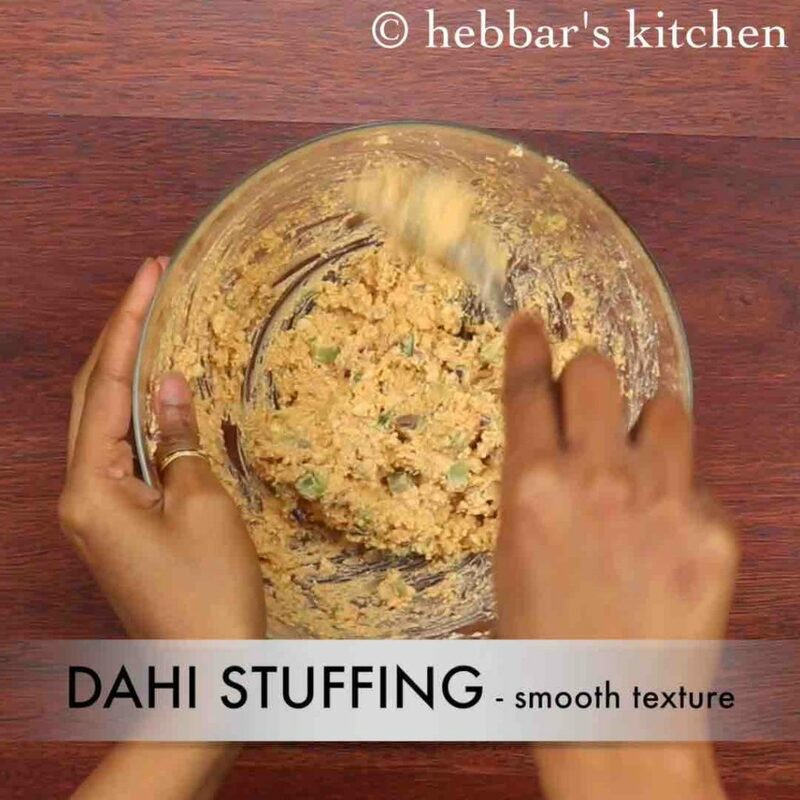 place a tbsp of prepared dahi stuffing in one side of bread slice leaving space at the ends. 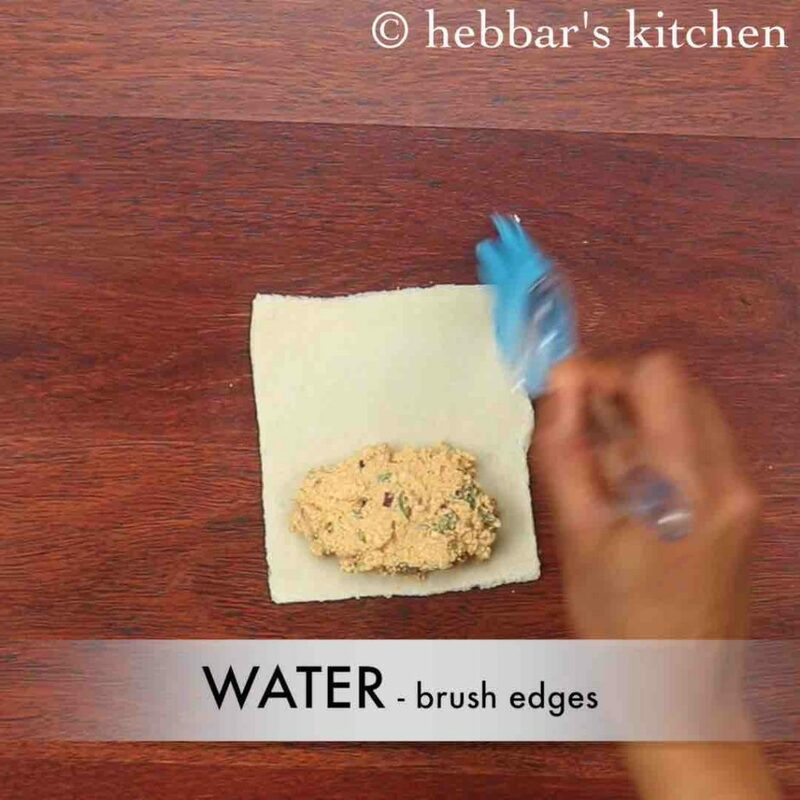 brush some water around the edges. 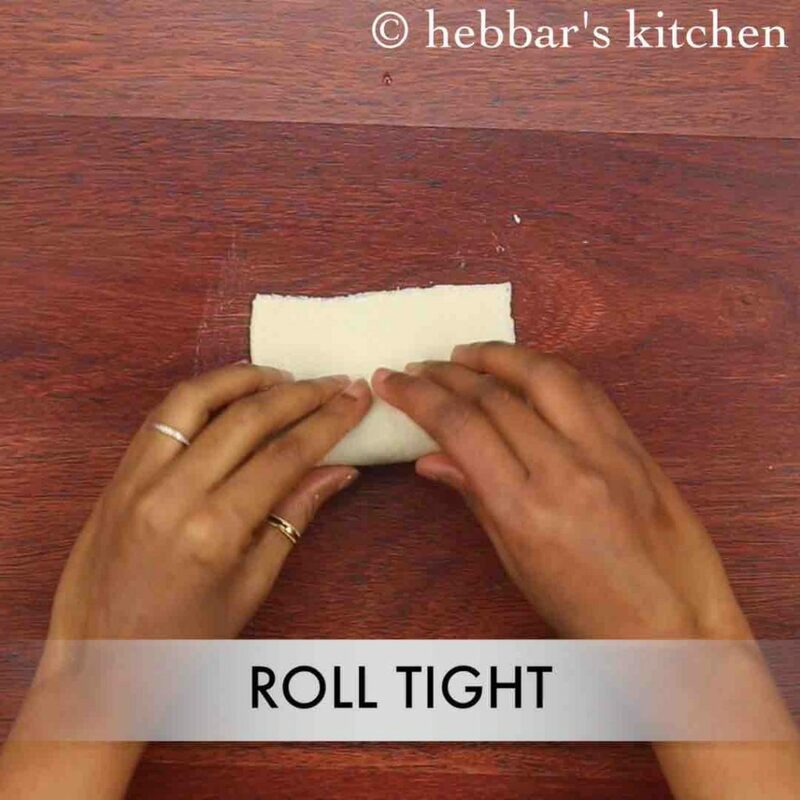 roll and press the edges to seal them tight. else the stuffing will be in oil while deep frying. 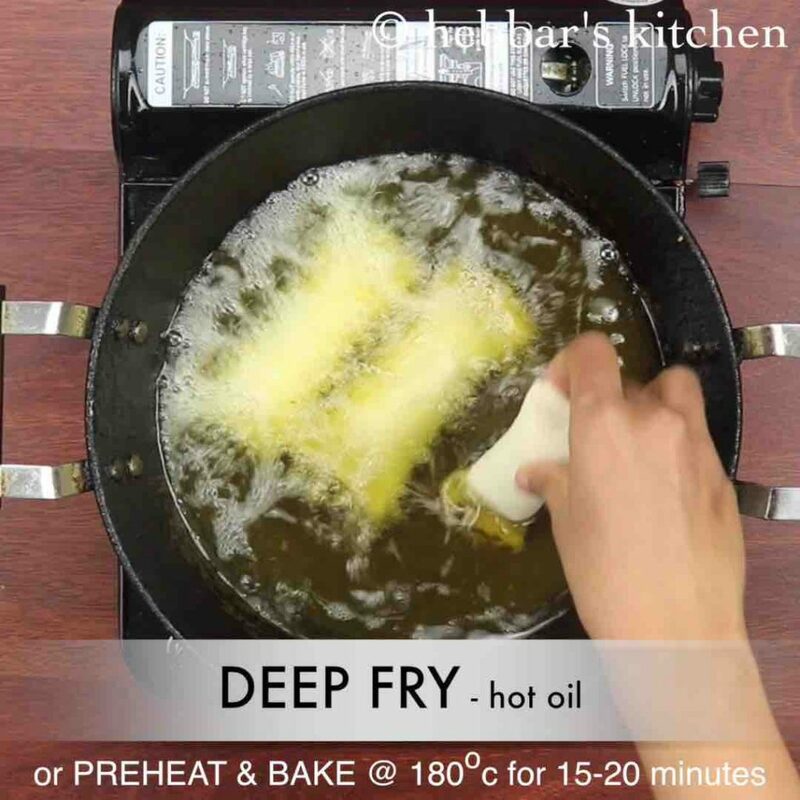 furthermore, heat the oil and deep fry the dahi bread rolls on medium flame. or preheat oven and bake at 180 degree celsius for 15-20 minutes. fry them till they turn golden brown. drain and place on an absorbent paper. finally, serve dahi ke sholay recipe or dahi bread roll hot with tomato ketchup or green chutney. firstly, use any bread slice of your choice, but make sure they are fresh. else bread will break while rolling. also, add vegetables of your choice to make more nutrious. additionally, use maida paste or corn flour paste if bread is not getting sealed with water. finally, serve dahi ke sholay recipe or dahi bread roll immediately, else bread turns soggy.